Is it really spring break already? Where is this school year going, and do you realize in just a few short months summer vacation will be here? You see, this is why I say both in my book, on my Facebook page as well as here to savor these years and this time with your child regardless of age or grade. They are growing up so very fast right before your eyes and when they graduate and leave home for college, you will painfully miss them in spite of the trials you may have had. Believe me I know because I am there. Contact your local YMCA or YWCA to inquire about Spring Break Camp. Both organizations always had fun filled activities for kids based on grade level and the programs were well planned offering a variety of age appropriate choices for kids. Your local library is a gem offering daytime and evening activities for students. Your local children’s museum is also a resource that may offer free or affordable daily activities. Your local skating rinks both roller and ice may surprise you with pre-planned activities. 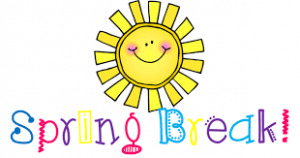 Utilize these resources and when you inquire make certain to ask them if they know of other organizations in your town offering low cost quality spring break activities. My hunch is they will but you won’t know if you don’t ask. Keep in mind these organizations charge a minimal fee based amount for their programs. Finally, whatever your child does during this break make certain daily reading is a part of it. Not only is reading exercise for their mind but it will also aid in teaching your child relaxation most especially in the absence of homework. If your child doesn’t have a favorite book by now they most certainly should. So make it a point to spend some quiet time at your local library or bookstore. 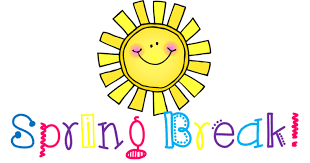 Let me know how you plan on spending spring break, we’d love to hear!